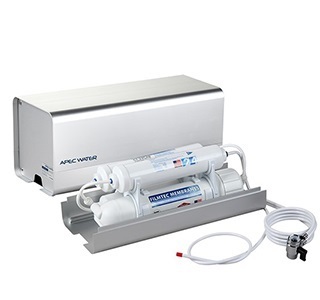 Icemaker kit for connecting an extra pure water output of the APEC Standard Reverse Osmosis systems to your icemaker. 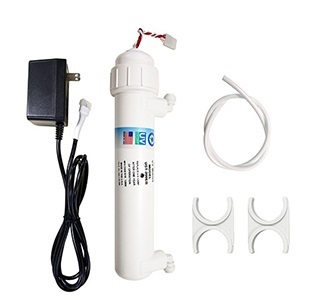 Icemaker kit for connecting an extra pure water output for APEC RO-Hi and upgrade 3/8" quick dispense RO systems to your icemaker. 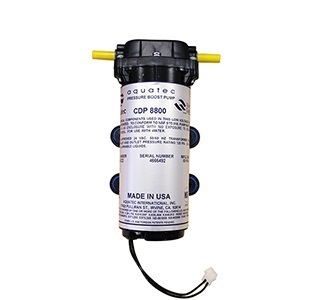 This add on kit helps adding extra stage of filter to your current APEC RO system easily. water to deliver pH balance. 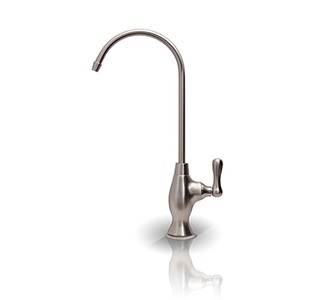 Fits standard 1/2" faucet pipes to add an additional 1/4" outlet for water filters. Fits standard 1-1/4" to 1-1/2" diameter pipes. Connects to 1/4" tubing. 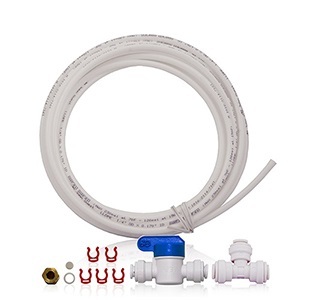 Drain saddle set, fits larger drain pipes. It can fits max. size of 2 ¼”. 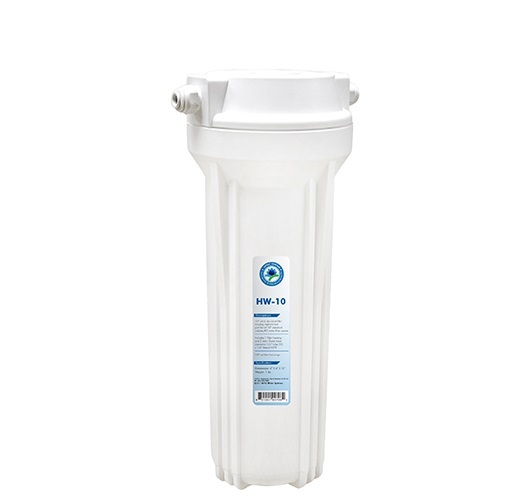 Can adapt to most pipe sizes to add an additional 1/4" outlet for water filters. 1/4" Tube OD x 7/16-24 Thread UNS. Moisture sensor stops leaks in water-coolers. Controller fits 1/4" plastic or copper tubing with quick-fit connectors. 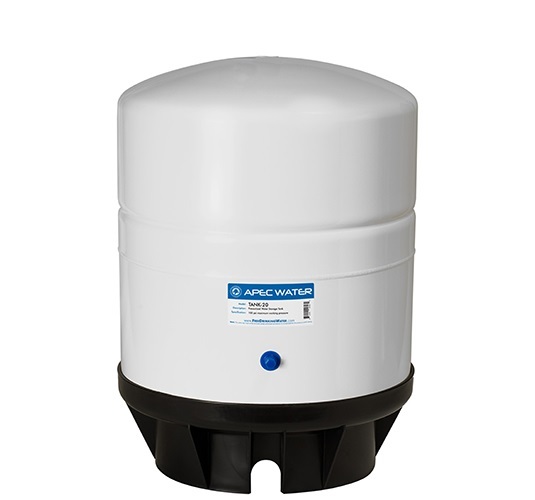 For Reverse Osmosis Systems & Water Coolers. Uses a lever trigger mechanism to shut off incoming water in the event of a leak. Simple, maintenance free design does not require electricity or batteries and can be easily installed on any surface. 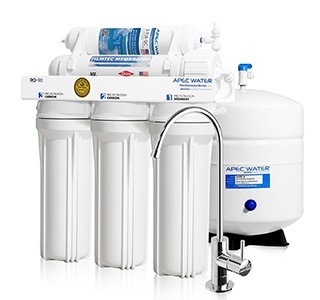 For reverse osmosis systems, under-counter filters, water coolers, refrigerators, ice-makers, coffee-makers & more. Absorbent pad expands when wet to trigger shutoff of incoming water during a leak. Needs to be replaced immediately after every use. Consists of saddle valve, drain valve & tube plug. Gauge to easily test your home water pressure. Attaches to your outside garden faucets in seconds. Miscellaneous Parts: WATTS Water Pressure Regulator 10-125 PSI, 1/4" In/Out, with JG fittings. Easy to use hand-held digital meter to test and monitor your water quality in Total Dissolved Solids (TDS); it allows you to stay on top of your drinking water quality at all times! If you need 20 ft, for example, add quantity 2 into your basket. We ship tubing un-cut in a roll.